The Galway Film Fleadh is undoubtedly Ireland’s leading film festival. A six-day international event, the Fleadh is held every July and welcomes a diverse range of films from around the world. GLUE VFX travelled across to Galway to catch up with film industry colleagues and to mix and mingle with some of the best film talent Ireland has to offer. 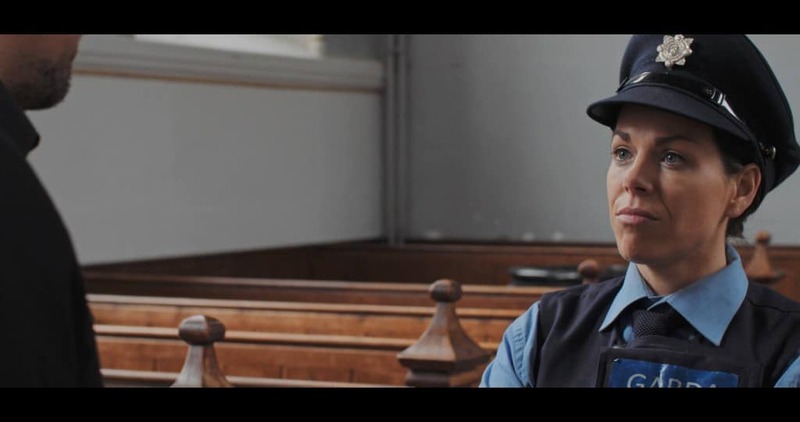 In this article we chat with Matthew Pidgeon “The Lost Letter” – Best Animated Sequence in a Short Film and Sinéad O’Riordan co-producer and actor in “Dead Along the Way”, both of which were screened at this years Fleadh. This year, the Fleadh presented a programme of over 70 Irish and international features, including a range of events such as outreach events, masterclasses, seminars, debates and public interviews. As the Fleadh is very much a filmmaker’s festival, it attracts directors, actors, cinematographers and artists of all generations and cultural backgrounds, who are offered the chance to present their work before their peers. 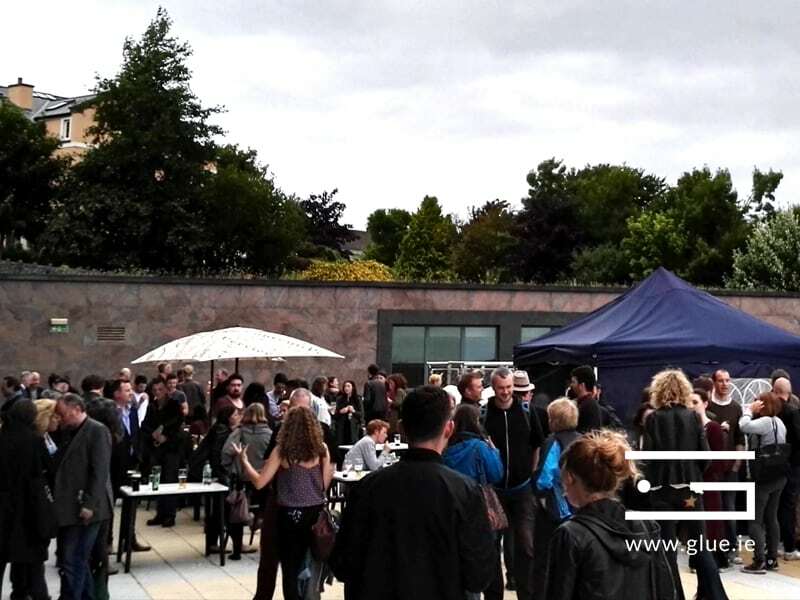 The Fleadh also hosts the Galway Film Fair – a specialist market providing a unique interface for filmmakers and financiers. Having celebrated its’ 28th birthday in 2016, as always the main goal of the Fleadh was to unite audiences and filmmakers within an intimate environment and to share a common experience; enjoying the wonder of cinema. The Fleadhs’ audience is generally diverse and consists of student film-makers, industry professionals, the cinema-going public, film buffs and all manner of invited guests. Events and screenings took place throughout the city at Town Hall Theatre, the Omniplex and in Eyre Square. In the past, guests have included Martin Sheen, Amanda Plummer, Brendan Gleeson, Anjelica Huston, Michael Fassbender, Woody Harrelson, Sir Richard Attenborough, Peter O’Toole, Jessica Lange, Kathy Bates, Paul Schrader, Robert Towne, Matt Dillon, Stephen Frears, Maureen O’Hara, Bill Pullman, Jeremy Irons,Anthony Minghella, Rutger Hauer, Arthur Penn, Gabriel Byrne, Donal McCann, Pierce Brosnan, Michael Winterbottom, Michael Moore, Oliver Reed, Jim Sheridan and Neil Jordan to name but a few. 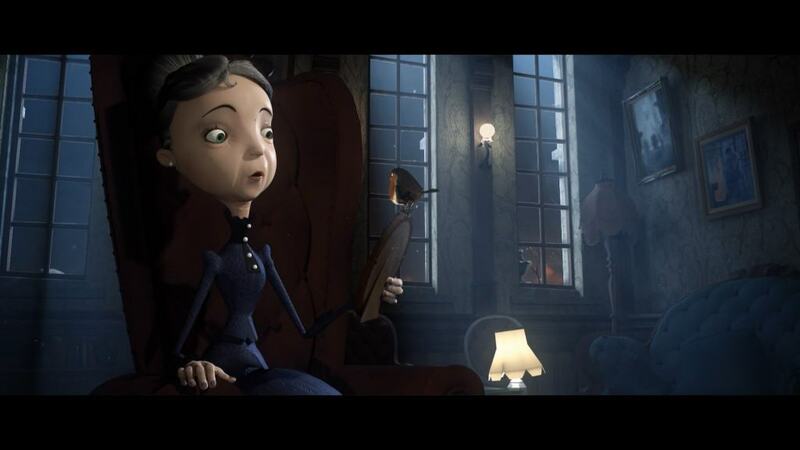 The Lost Letter is a short animated film directed by Kealan O’Rourke and funded by the Irish Film Board, RTE and The Arts Council under the Frameworks scheme. At it’s first showing in the 2016 Galway Film Fleadh it won the award for “Best Animated Sequence”. This was very gratifying for all concerned but perhaps most for the fledgling studio which did all of the animation work on the film, Trickshot Films. “We became involved in making the film in early 2015 when the producer, Brian Wilis, approached us to see if we were willing to take on the task of creating all of the 3d for the film. 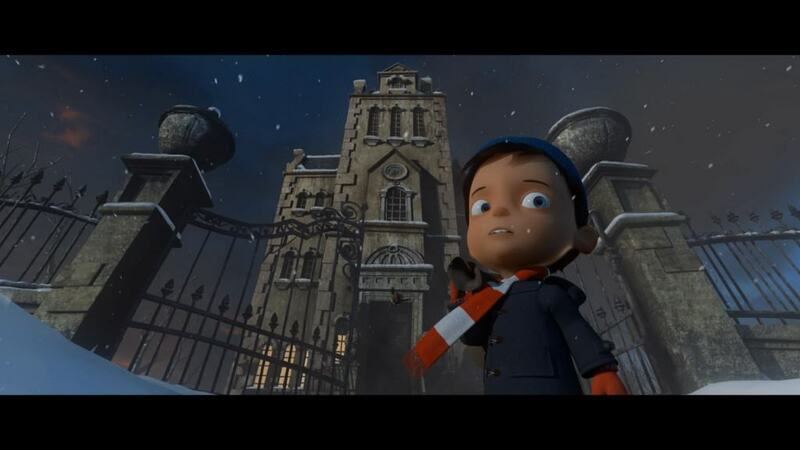 This meant taking care of all modelling, texturing, rigging, animation, lighting, rendering and compositing. We decided that it could be done and that we were the studio to do it” Matthew says. “The first big task we undertook was building the characters and sets. Ronan Coyle did a great job of modelling the sets while I built the characters. Once the character builds were approved we started the rigging process”. “This proved to be one of the biggest challenges we faced on the production. An old mentor of mine from Animation Mentor, Jason Schliefer, once said that trying to animate a badly rigged character is ‘like trying to run a race backwards while throwing jelly beans into your mouth’ “. “We wanted to avoid that feeling if at all possible. So the rigging was researched thoroughly and then tried and retried until we felt we had the flexibility to make the characters feel alive. We developed some Python scripts along the way which will make the process much easier next time”. “Early on in the production, we did a previz pass of the film where I sat down with the director and we worked out the shots that he wanted. This then served as a blueprint for shot timings and for the overall flow of the short”. “As the studio was being set up a major concern was how we were going to render all of this HD footage in house. Luckily, GPU rendering has moved along considerably in the past few years. We were early adopters of Redshift and had already used it successfully on a couple of projects. Happily this meant that we were able to render all the frames of the film on our workstations while avoiding the expense of using a dedicated render farm”. 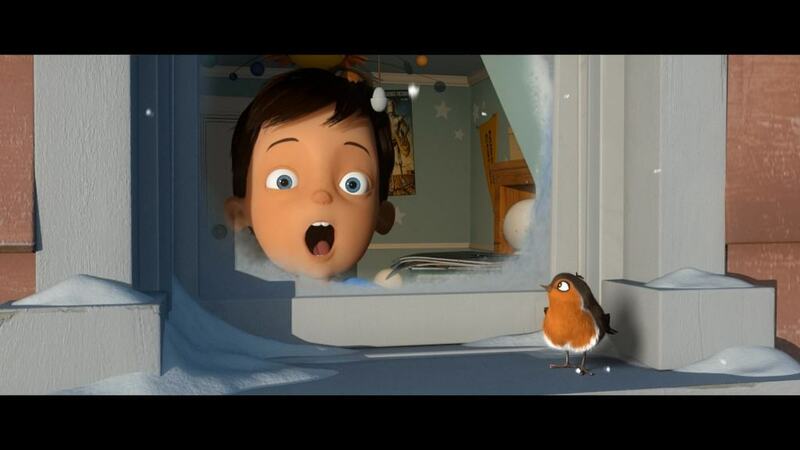 “All of the animation on the short was handled by Ted O’Donoghue and myself. This was the most fun and creative part of the process. There were over 100 shots to animate in a relatively short period. Despite the size of the task and the size of the team it all went very smoothly”. “The time and effort spent on rigging paid off here as it would have been a lot harder to breathe life into characters if we had been forced to contend with less responsive rigs. The director was fairly hands off during this phase which gave us the opportunity to experiment”. “Kate Winslet got involved very late in the day and indeed the lip sync shots had to be re-animated to suit her delivery”. “There were a few tricky shots in the film that I’m relieved worked out well. The chimney interior shots are unusual in that I can’t think of any film where the chimney interior is shown. This made gathering reference a challenge. It’s a tricky environment to light and it’s such a limited space that it’s hard to stage. Happily the shot coming out of the chimney into the night worked out very well”. “James Kenny did the texturing of the exterior of the mansion. This started out as a camera projected matte painting and the results speak for themselves. The opening and closing credits were created at Raygun and work very well as bookends for the film”. 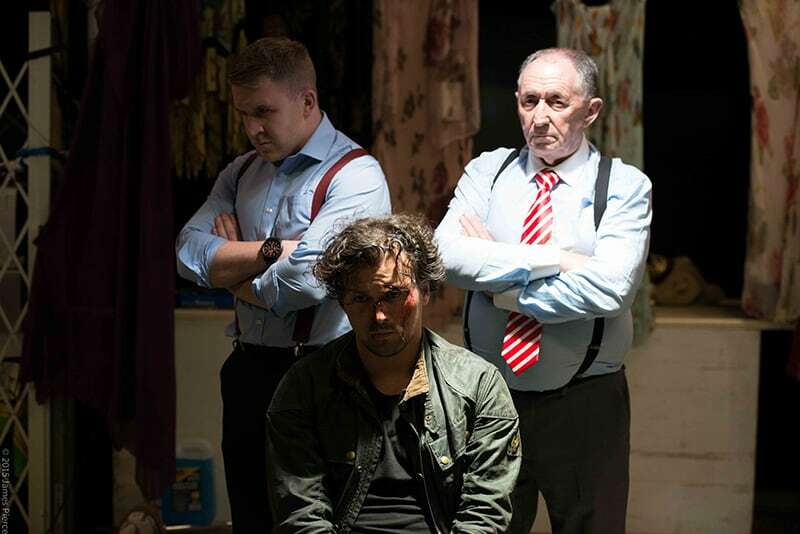 “It was exciting to finally watch the short with an audience at the Galway Film Fleadh. Steve Woods was the compere on the day and it was exciting to hear his description of the awards before the show. The standard this year was very high and the quality of the student work in particular bodes very well for Ireland’s future as a centre of excellence for animation”. On a budget that consisted of favours from friends and good-will, writer and director Maurice O’Carroll’s debut feature film, Dead Along the Way had it’s World Premiere at the prestigious Galway Film Fleadh earlier this year and co-producer Sinead O’Riordan says ‘It went down an absolute bomb‘. “I was on my knees in every sense and I had some industry people telling me that I was biting off more than I could chew. After a run of horrible luck I was stone broke and principal photography was due to begin in five days. 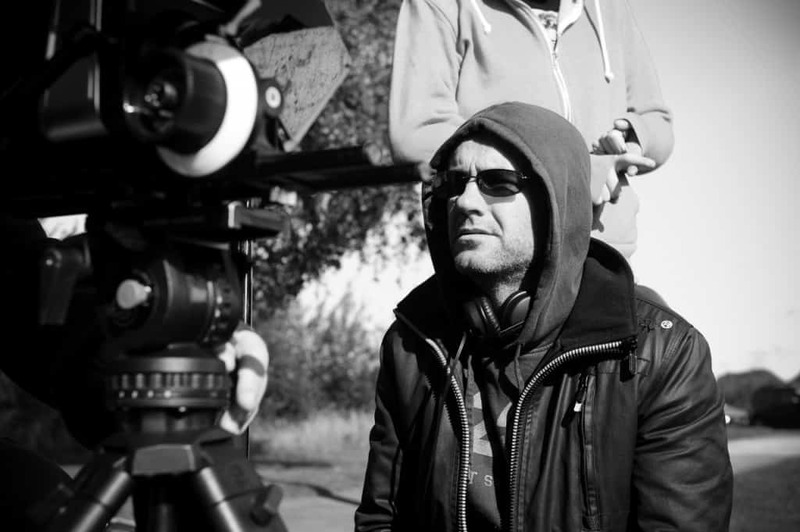 Locations were falling through, we lost a couple of actors last minute, my car died, I got hit with a severe bronchial infection.” says Filmmaker Maurice O’Carroll. A wearer of many hats, Sinead not only performed in the film but she and her company ORion Productions also co-produced the film along-side Maurice and his wife Elaine, adding to the string of projects this team have collaborated on. She didn’t need to wait very long however, as within minutes, the film received rapturous applause and cackles of laughter. “I must also really commend Gar, Eibh and all the team who welcomed us to The Townhall Theatre. They run such a tight ship and it’s no wonder that The Fleadh is world recognised. Dead Along The Way has also been selected as one of IndieCork Festival‘s highlights and will also officially open the 7th Underground Cinema Film Festival next week. In the words of Gar O’Brien “Films like Dead Along the Way are a great example of the type of film-making that needs to be supported more in Ireland. Not funded in the traditional sense, the filmmakers went out and made the film they wanted to regardless. Normally this leads to compromises on production values and casting and so forth but here, seemingly carried by passion, Dead Along the Way gets the best out of a cast and crew who clearly believe in the project. As a first feature film it meshes comedy, pathos and violence (often at the same time) with an inspired brio that larger budget films would be lucky to achieve”.